Astor began her long motion picture career as a teenager in the silent movies of the early 1920s. She eventually changed to talkies but nearly saw her career destroyed due to scandal in the mid-1930s. She was sued for support by her parents and was later branded an adulterous wife by her ex-husband, in a custody fight over her daughter. Overcoming these stumbling blocks in her private life, Astor went on to greater success on screen, eventually winning an Academy Award for Best Supporting Actress for her performance in The Great Lie (1941). She was a Metro-Goldwyn-Mayer contract player through most of the 1940s and continued to work in film, television and on stage until her retirement in 1964. Astor was the author of five novels. Her autobiography was a bestseller, as was her later book, A Life on Film, which was about her career. 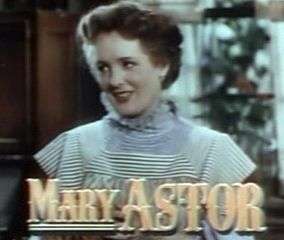 Director Lindsay Anderson wrote of her in 1990: "that when two or three who love the cinema are gathered together, the name of Mary Astor always comes up, and everybody agrees that she was an actress of special attraction, whose qualities of depth and reality always seemed to illuminate the parts she played." Astor was born Lucile Vasconcellos Langhanke in Quincy, Illinois, the only child of Otto Ludwig Langhanke (October 2, 1871 – February 3, 1943) and Helen Marie de Vasconcellos (April 19, 1881 – January 18, 1947). Both parents were teachers. Her Berlin-born father emigrated to the United States from Germany in 1891 and became a naturalized citizen; her mother was born in Jacksonville, Illinois, of Portuguese and Irish extraction. Langhanke and de Vasconcellos married on August 3, 1904 in Lyons, Kansas. Astor's father was a German teacher at Quincy High School until the U.S. entered World War I. Later on, he began doing light farming. Astor's mother, who had always wanted to be an actress, taught drama and elocution. Astor was home-schooled in academics and was taught to play the piano by her father, who insisted she practice daily. Her piano talents came in handy when she played piano in her films The Great Lie and Meet Me in St. Louis. In 1919, Astor sent a photograph of herself to a beauty contest in Motion Picture Magazine, becoming a semifinalist. When Astor was 15, the family moved to Chicago, with her father teaching German in public schools. Lucile took drama lessons and appeared in various amateur stage productions. The following year, she sent another photograph to Motion Picture Magazine, this time becoming a finalist and then runner-up in the national contest. Her father then moved the family to New York City, in order for his daughter to act in motion pictures. He managed her affairs from September 1920 to June 1930. A Manhattan photographer, Charles Albin, saw her photograph and asked the young girl with haunting eyes and long auburn hair, whose nickname was "Rusty," to pose for him. The Albin photographs were seen by Harry Durant of Famous Players-Lasky and Lucile was signed to a six-month contract with Paramount Pictures. Her name was changed to Mary Astor during a conference between Paramount chief Jesse Lasky, gossip columnist Louella Parsons, and producer Walter Wanger. After appearing in several larger roles at various studios, she was again signed by Paramount, this time to a one-year contract at $500 a week. After she appeared in several more movies, John Barrymore saw her photograph in a magazine and wanted her cast in his upcoming movie. On loan-out to Warner Bros., she starred with him in Beau Brummel (1924). The older actor wooed the young actress, but their relationship was severely constrained by Astor's parents' unwillingness to let the couple spend time alone together; Mary was only seventeen and legally underage. It was only after Barrymore convinced the Langhankes that his acting lessons required privacy that the couple managed to be alone at all. Their secret engagement ended largely because of the Langhankes' interference and Astor's inability to escape their heavy-handed authority, and because Barrymore became involved with Astor's fellow WAMPAS Baby Star Dolores Costello, whom he later married. In 1925, Astor's parents bought a Moorish style mansion with 1-acre (4,000 m2) of land known as "Moorcrest" in the hills above Hollywood. The Langhankes not only lived lavishly off of Astor's earnings, but kept her a virtual prisoner inside Moorcrest. Moorcrest is notable not only for its ornate style, but its place as the most lavish residence associated with the Krotona Colony, a utopian society founded by the Theosophical Society in 1912. Built by Marie Russak Hotchener, a Theosophist who had no formal architectural training, the house combines Moorish and Mission Revival styles and contains such Arts and Crafts features as art glass windows (whose red lotus design Astor called "unfortunate"), and Batchelder tiles. Moorcrest, which has since undergone a multimillion-dollar renovation, remains standing. Before the Langhankes bought it, it was rented by Charlie Chaplin, whose tenure is memorialized by an art glass window featuring the Little Tramp. Astor's parents were not Theosophists, though the family was friendly with both Marie Hotchener and her husband Harry, prominent TS members. Marie Hotchener negotiated Astor's right to a $5 a week allowance (at a time when she was making $2500 a week) and the right to go to work unchaperoned by her mother. The following year when she was 19, Astor, fed up with her father's constant physical and psychological abuse as well as his control of her money, climbed from her second floor bedroom window and escaped to a hotel in Hollywood, as recounted in her memoirs. Hotchener facilitated her return by persuading Otto Langhanke to give Astor a savings account with $500 and the freedom to come and go as she pleased. Nevertheless, she did not gain control of her salary until she was 26 years old, at which point her parents sued her for financial support. Astor settled the case by agreeing to pay her parents $100 a month. Otto Langhanke put Moorcrest up for auction in the early 1930s, hoping to realize more than the $80,000 he had been offered for it; it sold for $25,000. Astor continued to appear in movies at various studios. When her Paramount contract ended in 1925, she was signed at Warner Bros. Among her assignments was another role with John Barrymore, this time in Don Juan (1926). She was named one of the WAMPAS Baby Stars in 1926, along with Mary Brian, Dolores Costello, Joan Crawford, Dolores del Río, Janet Gaynor, and Fay Wray. On loan to Fox Film Corporation, Astor starred in Dressed To Kill (1928), which received good reviews. That same year, she starred in the sophisticated comedy Dry Martini at Fox. She later said that, while working on the latter, she "absorbed and assumed something of the atmosphere and emotional climate of the picture." She said it offered "a new and exciting point of view; with its specious doctrine of self-indulgence, it rushed into the vacuum of my moral sense and captivated me completely." When her Warner Bros. contract ended, she signed a contract with Fox for $3,750 a week. In 1928, she married director Kenneth Hawks at her family home, Moorcrest. He gave her a Packard automobile as a wedding present and the couple moved into a home high up on Appian Way, a small hilltop street in Laurel Canyon above the Sunset Strip. Their address was 8803 Appian Way. Other celebrities who lived at different times on this short street include Errol Flynn and his French wife Lili Damita (8946 Appian Way); Ida Lupino (8761); fashion designer Jean Louis [Berthault] (8761);Ginger Rodgers (8782); German composer Rudolf Friml (8782); Gypsy Rose Lee (8815 Appian Way); Carole King (8815); Courtney Cox (8815). As the film industry made the transition to talkies, Fox gave her a sound test, which she failed because the studio found her voice to be too deep. Though this was probably due to early sound equipment and the inexperience of technicians, the studio released her from her contract and she found herself out of work for eight months in 1929. Astor took voice training and singing lessons in her time off, but no roles were offered. Her acting career was then given a boost by her friend, Florence Eldridge (wife of Fredric March), in whom she confided. 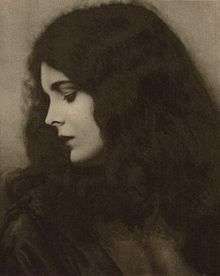 Eldridge, who was to star in the stage play Among the Married at the Majestic Theatre in Downtown Los Angeles, recommended Astor for the second female lead. The play was a success and her voice was deemed suitable, being described as low and vibrant. She was happy to work again, but her happiness soon ended. On January 2, 1930, while filming sequences for the Fox movie Such Men Are Dangerous, Kenneth Hawks was killed in a mid-air plane crash over the Pacific. Astor had just finished a matinee performance at the Majestic when Florence Eldridge gave her the news. She was rushed from the theatre to Eldridge's apartment; a replacement, Doris Lloyd, stepped in for the next show. Astor remained with Eldridge at her apartment for some time, then soon returned to work. Shortly after her husband's death, she debuted in her first "talkie", Ladies Love Brutes (1930) at Paramount, which co-starred friend Fredric March. While her career picked up, her private life remained difficult. After working on several more movies, she suffered delayed shock over her husband's death and had a nervous breakdown. During the months of her illness, she was attended to by Dr. Franklyn Thorpe, whom she married on June 29, 1931. That year, she starred as Nancy Gibson in Smart Woman, playing a woman determined to retrieve her husband from a gold-digging flirtation. The clever dialogue, played against the trappings of a lavish mansion, involves another man who is obviously in love with Astor's character. This wealthy lord, at the behest of Gibson, attracts the attention of the gold-digger during lazy days at the manor. The husband, initially set upon divorcing Nancy and marrying the intruder "Peggy Preston", is dismayed to find Peggy attracted to the newcomer because of his extraordinary wealth. All done in a civil, but cunning, manner. In May 1932, the Thorpes purchased a yacht and sailed to Hawaii. Astor was expecting a baby in August, but gave birth in June in Honolulu. The child, a daughter, was named Marylyn Hauoli Thorpe: her first name combined her parents' names and her middle name is Hawaiian. When they returned to Southern California, Astor freelanced and gained the pivotal role of Barbara Willis in MGM's Red Dust (1932) with Clark Gable and Jean Harlow. In late 1932, Astor signed a featured player contract with Warner Bros. Meanwhile, besides spending lavishly, her parents invested in the stock market, which often turned out unprofitable. While they remained in Moorcrest, Astor dubbed it a "white elephant", and she refused to maintain the house. She had to turn to the Motion Picture Relief Fund in 1933 to pay her bills. In 1933, she appeared as the female lead, Hilda Lake, niece of the murder victims, in The Kennel Murder Case, co-starring with William Powell as detective Philo Vance. Film critic William K. Everson pronounced it a "masterpiece" in the August 1984 issue of Films in Review. Unhappy with her marriage, she took a break from movie-making in 1933 and went to New York alone. While there, enjoying a whirlwind social life, she met the playwright George Kaufman and they had an affair, which she documented in her diary. A legal battle drew press attention to Astor in 1936. Dr. Franklyn Thorpe divorced Astor in April 1935 and a custody battle resulted over their four-year-old daughter, Marylyn. Thorpe threatened to use Astor's diary in the proceedings, which told of her affairs with many celebrities, including George S. Kaufman. The diary was never formally offered as evidence during the trial, but Thorpe and his lawyers constantly referred to it, and its notoriety grew. Astor admitted that the diary existed and that she had documented her affair with Kaufman, but maintained that many of the parts that had been referred to were forgeries, following the theft of the diary from her desk. The diary was deemed inadmissible as a mutilated document, and a judge ordered it be sealed and impounded. Astor claimed it was then destroyed, with her permission. Astor had just begun work as Edith Cortwright, opposite Walter Huston in the title role of Dodsworth as news of the diary became public. Producer Samuel Goldwyn was urged to fire her, as her contract included a morality clause, but Goldwyn refused and the movie was a hit. Ultimately, the scandals caused no harm to Astor's career, which was actually revitalized because of the custody fight and the wide publicity it generated; Dodsworth (1936), with Walter Huston, was released to rave reviews, and the public's acceptance assured the studios that she remained a viable commercial property. In 1937, she returned to the stage in well-received productions of Noël Coward's Tonight at 8:30, The Astonished Heart, and Still Life. She also began performing regularly on radio. Some of her best movies were yet to come, including The Prisoner of Zenda (1937), John Ford's The Hurricane (1937), Midnight (1939) and Brigham Young (1940). In John Huston' s The Maltese Falcon (1941), Astor played scheming temptress Brigid O'Shaughnessy. The film also starred Humphrey Bogart and featured Peter Lorre and Sydney Greenstreet. Another noteworthy performance was her Oscar-winning role as Sandra Kovak, the selfish, self-centered concert pianist, who willingly gives up her child, in The Great Lie (1941). George Brent played her intermittent love interest, but the film's star was Bette Davis. Davis wanted Astor cast in the role after watching her screen test and seeing her play Tchaikovsky's Piano Concerto No. 1. She then recruited Astor to collaborate on rewriting the script, which Davis felt was mediocre and needed work to make it more interesting. Astor further followed Davis's advice and sported a brazenly bobbed hairdo for the role. The soundtrack of the movie in the scenes where she plays the concerto, with violent hand movements on the piano keyboard, was dubbed by pianist Max Rabinovitch. Davis deliberately stepped back to allow Astor to shine in her key scenes. As a result of her performance, Astor won the Academy Award for Best Supporting Actress, thanking Bette Davis and Tchaikovsky in her acceptance speech. Astor and Davis became good friends. Astor was not propelled into the upper echelon of movie stars by these successes, however. She always declined offers of starring in her own right. Not wanting the responsibility of top billing and having to "carry the picture," she preferred the security of being a featured player. In 1942, she reunited with Humphrey Bogart and Sydney Greenstreet in John Huston's Across the Pacific. Though usually cast in dramatic or melodramatic roles, Astor showed a flair for comedy as The Princess Centimillia in the Preston Sturges film, The Palm Beach Story (1942) for Paramount. In February 1943, Astor's father, Otto Langhanke, died in Cedars of Lebanon Hospital as a result of a heart attack complicated by influenza. His wife and daughter were at his bedside. That same year, Astor signed a seven-year contract with MGM, a regrettable mistake. She was kept busy playing what she considered mediocre roles she called "Mothers for Metro." After Meet Me in St. Louis (1944), the studio allowed her to debut on Broadway in Many Happy Returns (1945). The play was a failure, but Astor received good reviews. On loan-out to 20th Century Fox, she played a wealthy widow in Claudia and David (1946). 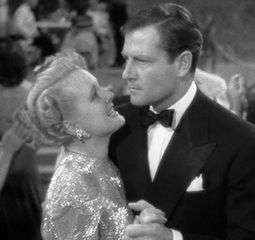 She was also loaned to Paramount to play Fritzi Haller in Desert Fury (1947) playing the tough owner of a saloon and casino in a small mining town. Before Helen Langhanke died of a heart ailment in January 1947, Astor said she sat in the hospital room with her mother, who was delirious and did not know her, and listened quietly as Helen told her all about terrible, selfish Lucile. After her death, Astor said she spent countless hours copying her mother's diary so she could read it and was surprised to learn how much she was hated. Back at MGM, Astor continued being cast in undistinguished, colorless mother roles. 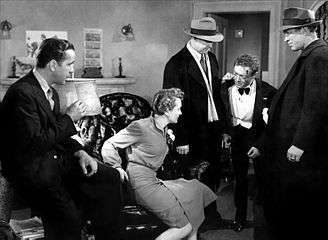 One exception was when she played a prostitute in the film noir Act of Violence (1948). The last straw came when she was cast as Marmee March in Little Women (1949). Astor found no redemption in playing what she considered another humdrum mother and grew despondent. The studio wanted to renew her contract, promising better roles, but she declined the offer. In 1952, she was cast in the leading role of the stage play The Time of the Cuckoo, which was later made into the movie Summertime (1955), and subsequently toured with it. After the tour, Astor lived in New York for four years and worked in the theater and on television. She starred on Broadway again in The Starcross Story (1954), another failure and returned to Southern California in 1956. She then went on a successful theatre tour of Don Juan in Hell directed by Agnes Moorehead and co-starring Ricardo Montalban. Astor died on September 25, 1987, at age 81, of respiratory failure due to pulmonary emphysema while a patient in the hospital in the Motion Picture House complex. She is interred in Holy Cross Cemetery, Culver City. Astor has a star for motion pictures on the Hollywood Walk of Fame at 6701 Hollywood Boulevard, making her one of fewer than a hundred Oscar-winning female actors in Hollywood history to be honored with a star. She has been quoted as saying: "There are five stages in the life of an actor: Who's Mary Astor? Get me Mary Astor. Get me a Mary Astor type. Get me a young Mary Astor. Who's Mary Astor?" Several other actors, among them Jack Elam and Ricardo Montalban, have been quoted as saying this. 1 2 Thomas, Bob (September 26, 1987). "'Maltese Falcon' star Astor dies at 81". Kansas, Salina. The Salina Journal. p. 8. Retrieved February 20, 2016 – via Newspapers.com. 1 2 3 4 "Mary Astor Not Actress by Accident; Career Planned". Montana, Butte. The Montana Standard. August 24, 1936. p. 5. Retrieved February 20, 2016 – via Newspapers.com. 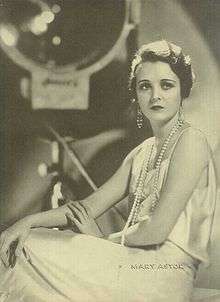 1 2 3 "Mary Astor Dies at 81 – A 'Maltese Falcon' Star". Los Angeles Times. (September 26, 1987) Accessed on August 14, 2007. ↑ "Justice". The Classic TV Archive. Retrieved February 8, 2011. ↑ "Walk of Fame Stars, Mary Astor". walkoffame.com. Hollywood Chamber of Commerce. Archived from the original on April 3, 2016. Retrieved December 1, 2016. ↑ "Abel, Walter". radioGOLDINdex. Retrieved 26 May 2015.